When I say surprise, I mean it was a total surprise! 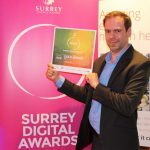 This is an entirely new award issued by Surrey-based SEO specialist b2bmetric. 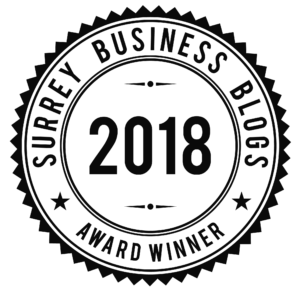 Awards were issued to Dadbloguk and seven other Surrey-based blogs having had their content reviewed by b2bmetric. 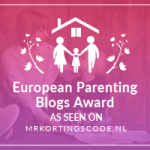 The judges remarked: “John from dadblog.uk is another great example of someone who has turned a blog into a business.” The judges went on to say that I’d done an “amazing job” turning my life stories into a revenue-generating business, be it through brand partnerships or through sales of the Dadbloguk range of t-shirts. 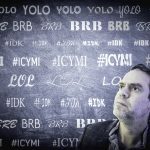 I am in among some great company including a travel blog I am very familiar with called Enjoy The Adventure. The entire list of winners can be found on the b2bmetric blog. Congratulations to everyone on the list. Needless to say, I love using my writing and photography skills. I also love producing video content. I really enjoy creating content for fun, but there is a commercial element to what I do. It is fantastic to get recognition for the fact I am running my own business. It is a small business and the way I run it means I am able to continue as the main carer for my two daughters, Helen and Izzy. It’s me that’s at the school gates twice a day doing the school run and by doing this, my wife, Gill is free to concentrate on her career. 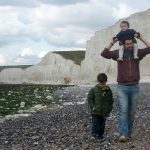 I have recently been running a series of blog posts looking at dads who left stable jobs and set up their own businesses because they struggled to achieve a balance between work and family life as employees. I left my old job for this very reason and while it wasn’t what I planned to do, I do make money from blogging and it gives me the flexibility I need to do the school run, attend sports days, prepare the kids’ dinner in the evenings and even, as I am this week, oversee a complicated house move! It’s wonderful to receive this recognition. I have to say a huge thanks to my readers and family for all their support and of course to b2bmetric for giving me the award. Previous Post PPI Claims and Plevin: What’s It All About? Next Post Concentrate on what your child is doing, not your phone.